North Lanarkshire Council has taken the next step towards potentially operating its own transport network. In December 2016 the council passed a motion by Labour councillor Heather McVey ‘to explore options for a council or publicly owned transport network to serve our area’. Now as the Scottish Government considers a new Transport Bill, which could allow local authorities to run their own bus services, a working party of will be set up in North Lanarkshire following a successful motion made by SNP councillors Mark Kerr. 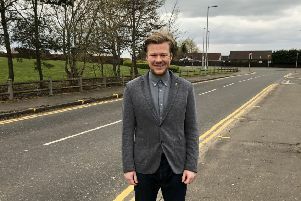 Councillor Kerr said: “As a non-driver I know only too well how difficult it can be to access certain parts of our area for those who don’t have a car. “As a council with socialism at its heart, we should work together to push forward the process of opening opportunities for improving and increasing services whilst having only one shareholder, the public. Councillor McVey stated the council hasn’t stood still since her original motion was passed, but was happy to back Councillor Kerr’s motion. She said: “This is so important to all parts of North Lanarkshire as we have real difficulty from travelling north to south within our own authority without having to travel outwith it and then come back in. The Conservative group refused to vote for a motion with the word ‘socialism’ in it so put forward an amendment, but this too agreed to setting up a working group. Councillor Kerr’s motion passed 61-7 with one abstention.